“Our people are our greatest assets” is a popular phrase uttered by CEOs everywhere – meant to motivate and inspire their teams, to make them feel valued … but is it accurate? In The Talent Revolution: Longevity and the Future of Work, Lisa Taylor and Fern Lebo remark that assets are typically acquired, depreciated and disposed of/written off at the end of their useful life. Is this the way we should be thinking about our people? In this new world of work, where people are living longer and therefore have a social, intellectual and financial need to stay in the work force longer, what can organizations and individuals do to ensure we are maximizing and “writing up” these critical assets, or even better, treating them as equity? In the 2015 film The Intern, a comical yet relevant story about generations in the workplace, a 70-year-old retired executive, played by Robert De Niro, returns to work for a fashion startup after becoming widowed. The no-nonsense millennial chief executive, played by Anne Hathaway, hires Mr. De Niro’s character as part of a diversity project, in her mind, as a good deed. But after getting through some generational norm differences – Mr. De Niro insists on wearing a suit and tie and believes firmly in not leaving the office before the boss – Ms. Hathaway’s character realizes that her 70-year-old intern is invaluable. His experience as a seasoned professional, and with life in general, proves to be a significant contributor to her success, both professionally and, in the end, personally. So, while Mr. De Niro’s character may not know all the ins and outs of fashion trends, social media and internet shopping, he proves to be an indispensable leader, team player, coach and right-hand man – embodying critical human skills that companies are craving in this new world of work. Here are a few considerations to ensure we don’t prematurely write off our greatest assets. As noted in The Talent Revolution, “coasting is not a kindness.” Ignoring underperformers, of any age, is certainly not good for the organization but also demoralizing for workers. Every worker is entitled to regular check-ins regarding performance. If there are issues, they should be addressed either through realignment of/commitment to goals, coaching, training or, if the will and skill is not up to snuff, transition to a new role that better leverages their skills and experience (within or outside of the company). For proper work force and succession planning, it is important to know your employees’ short- and longer-term ambitions. In recent years, employees have been taught to manage their own careers, to advocate for themselves and to seek sponsorship in order to advance and achieve their professional goals. This was not the case when boomers entered the work force: Organizations typically managed their careers for them through rigid career paths and talent processes. So, self-advocacy can be new and awkward for them. Ms. Taylor and Ms. Lebo’s survey findings indicate that, since few managers are trained on having proper forward-facing career conversations, these conversations with mature workers are often simply avoided – this is a significant missed opportunity as a large cohort of the work force is not optimized. In this new world of work, there are many ways to continue working relationships without a full-time permanent employment contact. Consider exploring the many options outside of traditional retirement: gigs/contracts and crowds (where experts are brought together to solve challenging business problems) are all made easier with the power of technology. 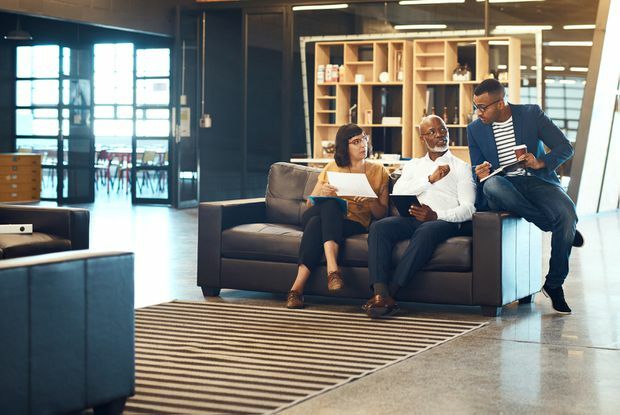 Tapping into talent in these new ways can be a win-win, as knowledge doesn’t completely leave the organization and workers can work in a way that can better leverage their strengths and suit their needs. As for workers, be open to, and pro-actively committed to, lifelong learning: business needs and models are changing at breakneck speeds, and so too are job responsibilities. Without being open to continuous learning, skills simply go stale. Seek out learning and development that will help you evolve with business needs and will keep you relevant well into your later years.